It’s very important to backup all of themes and extensions in Magento before installation, especially when you are working on a live server. We strongly recommend you to do not omit this step. Download SFTP clients, we recommend clients: FileZilla, WinSCP. In this case, we are using WinSCP to install the module. After purchasing order from Mageplaza, go to My Downloadable Products page to download the module package. 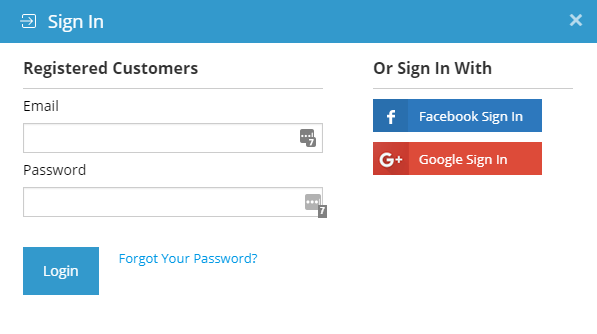 You have to log in (User/Password or Social accounts) before accessing the My Downloadable Products. Here are the screenshot of My Downloadable Products page. Now click on extension version link to download the package. 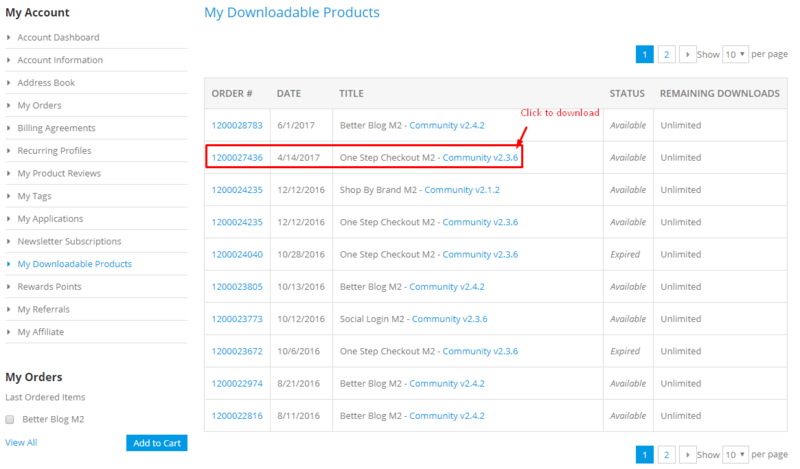 Upload the app folder to Magento 2 root folder. Now time to check result in frontend. If you get any issues, check FAQs. If you get still get issues, report here.